We are two days away from June and that means it is officially time to dive into summer for swimsuits, beach essentials, and the Marleylilly Warehouse Sale! Grab your summer staples early so you're fully prepared for spontaneous pool days and weekend getaways! 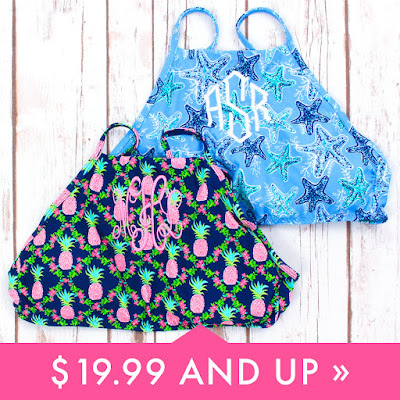 Kick off your swimsuit shipping with these hot deals! For tops, shop the trendy high-neck, bandeau, and tankini tops. For bottoms, find something that works for you whether it's high-waisted, adjustable or bikini bottoms! The Monogrammed High Neck Bikini Top is flattering for every figure! Pair it with the High Waisted Foldover Bikini Bottoms or the Monogrammed Bikini Bottoms and you are cool for the summer! Don't forget those cover-ups and beach bags! Snag the Monogrammed Tassel Cover Up for an easy and comfy post-pool outfit. For a Marleylilly summer tote fav, shop the Monogrammed Straw Tote Bag. 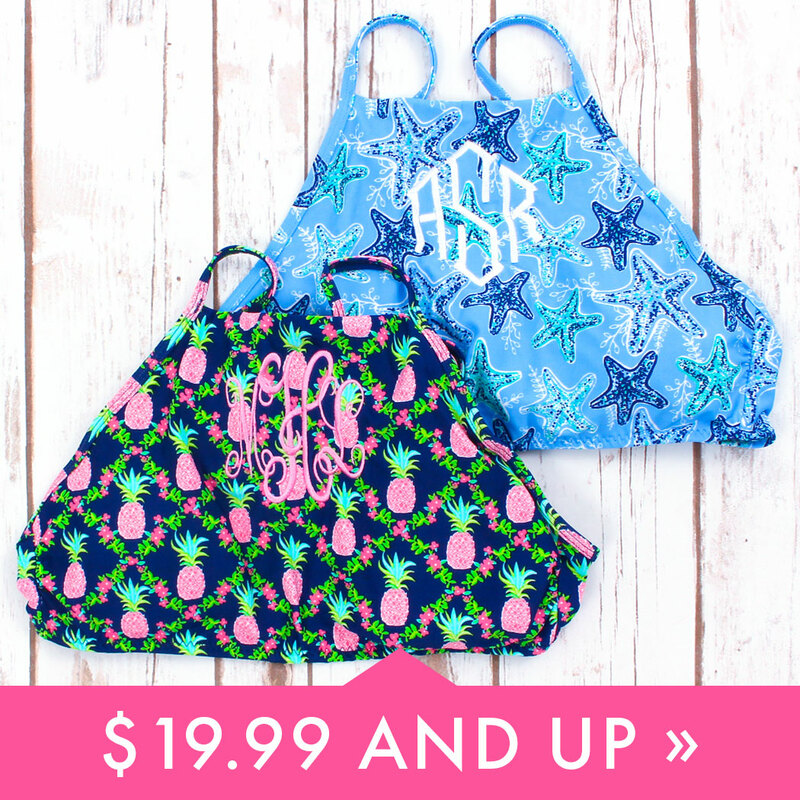 Cute, personalized, and sand resistant, no more sandy beach bags for you! 🙌🏽 Not to mention there are everywhere on the fashion scene! New summer, new styles! Make room in your closet for these summer styles and accessories! 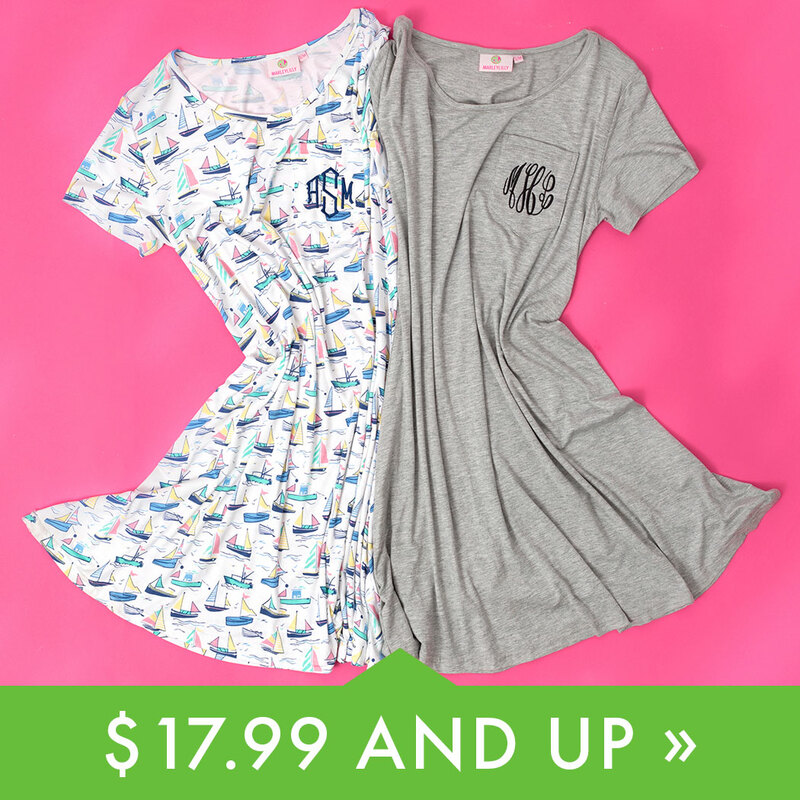 Twirl through your summer days in the Monogrammed Boyfriend Dress. I have to mention there is a sailboat pattern! For a daytime sundress look, shop the Mexicali Dress for a colorful summer piece! And you can't have a summer wardrobe without a romper. Style this Monogrammed Romper with an elegant cardigan and flats to brunch with your mom or throw on a denim jacket and heels for a night out with the girls. Your outfit is not complete without a little bling bling! Put the finishing touch on your outfit with the Monogrammed Taylor Necklace that sparkles with your summer glow! 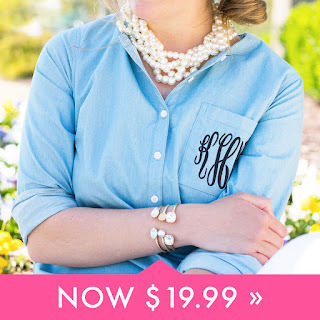 Or snap on the Monogrammed Bar Bracelet to match your Monogrammed Bar Necklace for the cutest jewelry set! Be one of the first to strut this season's hottest styles and make this summer your most stylish yet! Fall's hottest trends = on sale. Say what?! With the pool just now opening and the sunscreen on every store display, the last thing that I want to do is think about fall fashion. However, I have zero complaints about shopping fall fashion early because these ML sales are just too good to pass up! Adjust from summer to fall in the Monogrammed Chambray Shirt; this top is perfect for the mixed weather because of its light fabric! Tackle Friday night football and Saturday tailgating in the Monogrammed Lace Up Tunic — feel super cute yet cozy! Pack your Monogrammed Pullover Sweatshirt for your fall camping trip or mountain weekend—you will never be asking for an extra blanket. To knock off the early autumn chill, the Monogrammed Field Jacket is here to save the day! Toss it on over your fave summer tank top to stay warm during the transitional weather! 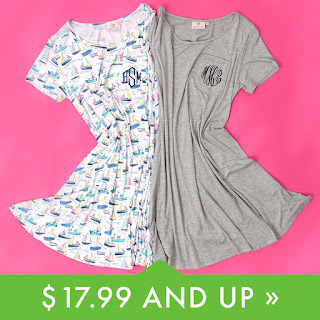 Prep for both summer (and fall, even) with the Marleylilly Warehouse Sale! Trust us, your wardrobe (and wallet) will say thank you later!